Love, Death & Robots has just managed to hold on to top spot in this week's TV Time Binge Report top 10 chart, for the week of March 25 to 31, 2019. 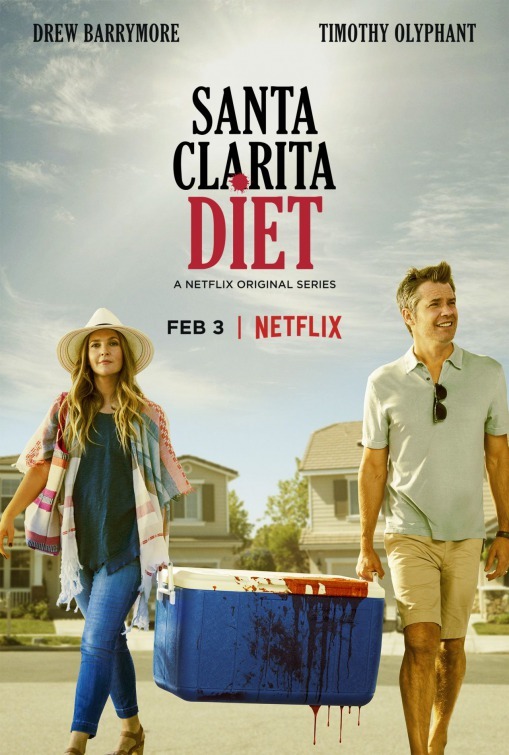 With a 3.45% share of all binges, Love, Death & Robots was only slightly ahead of a new entry into the top 10, the new season of Netflix's Santa Clarita Diet (which managed to get a 3.00% share). Recent chart topping shows The Order and The Umbrella Academy both dropped out of the top 10. 'The Umbrella Academy' has had a good run in the top 10, but the short run of 'The Order' suggests the show hasn't found the kind of appeal of recent Netflix hits (the show's relatively low IMDb rating sort of confirms this). The OA just jumped from its 5th place debut last week to 3rd place. Also new to the top 10 this week is Netflix's critically acclaimed On My Block, the second season dropped during the week and it has instantly increased the show's binge-a-bility. The Walking Dead, having dropped out of the top 10, made it back again this week, with 'How I Met Your Mother' going the other way for the new entries this week.